So what do you guys think this will sell for at BJ???? It's a 'tribute' car, rather than an original L-88. The car is very nice, but not really trimmed just like an L-88. So, it's essentially a very nice '69 coupe with a 427 in it and some add-on hardware. The biggest variable at B-J is WHEN the car goes across the block. If it is shown/sold on Friday or Saturday evening, it will get the most money; that's when the overly-rich & tipsy buyers are out. If it goes at some other time, it could be as low as 2/3 of that amount. My guess: Fri/Sat eve.... $55K; Other time....$38K. But, that's just my guess. I wish you luck. Thanks, but Im certainly not bidding....I was just saying its a far more interesting car in the 40K range than the 80-90K range. I learned my lesson on buying cars that I haven't personally inspected from top to bottom! Probably no more than $50k, same as what a well-done Yenko Camaro clone that has been cobbled together might bring...while the real deal could easily bring $350k. Why would fake (excuse me...tribute) steel-bodied muscle cars be any different, especially in the long run of collectability? I'd say between 35k and 40K. The real deal cars are quite rare, easy to see how a genuine L88 may bring big $$. I'd say $50K would be good money for a NOM, tribute, fake, or whatever it's called. This isn't a true clone, closer to restomod. Interested to see what it sells for. BJ is a NO reserve auction except for a few high high end cars, I know its a crap shoot. My Ford 427/425 Galaxy 500 XL conv lot 1303 will sel Saturday afternoon. Any one interested in a one half 88? i'm thinking 6 figures.the crate motor alone is 25k.i betcha it's a blast to drive! Well, Tho it appears nicely restored-modified..I'm thinking maybe 35K for the right person who has some money and likes it..Nice color anyhow.. 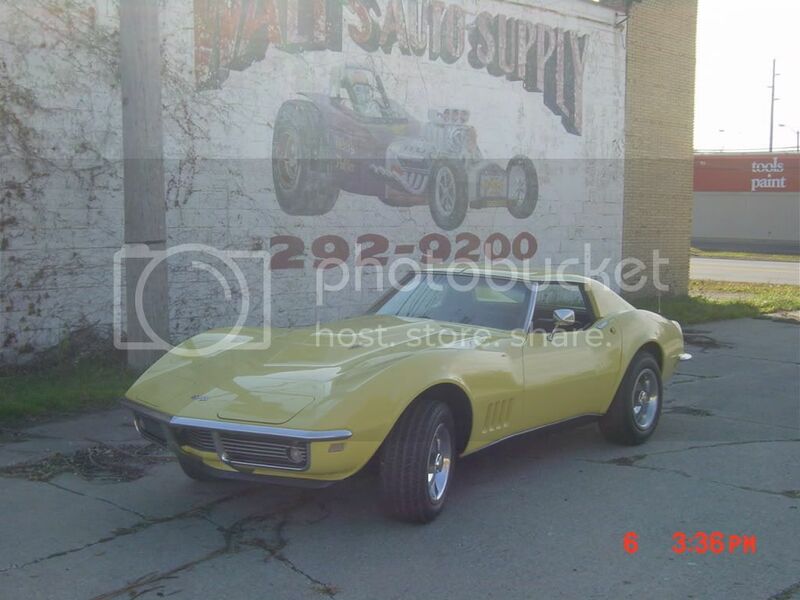 IF I didn't have one already, I know a fellow here in Oregon who has an all matching L82 automatic all optioned completely functional with 18 K original miles 1978 Silver Anniversary corvette he'd take 16.K for..
Do like the rest of the no reserve owners do. Have someone there to bid your car in case it falls on it's face. No reserve cars sell to the highest bidder and it takes two people wanting the car to get top dollar for your car good luck. Joe that would be great. Let me know when you are here. I live in North Phoenix. I still have my 70 454 all option 4-speed conv. & two 67's. a 390 AC & 435 convertibles . And as mentioned.....that SOB would have to be a rip to drive. "The car was also upgraded for improved performance, handling and stability by using an all-new M-22 4-speed transmission." Last edited by TMU; 01-14-2016 at 03:50 PM. well.....the winning bid was 77K....plus the ludicrous 12% "buyers fee" does in fact bring it to $84,700. I was actually very surprised. Much more "correct" cars went for way less earlier in the day. I think that number was as much a function of the timing and crowd as it was the car. I could easily see that car going for 45-50 mid day on Thursday. All that being said, if I had that kind of money to blow, it absolutely would have been on this car! They're all bringing more than original cars so far today.......so much for the NCRS pricing experts. Quick Reply: So what do you guys think this will sell for at BJ??? ?